Our previous work has shown that mothers with low intakes of micronutrient rich foods had babies with lower birth weights, and higher insulin resistance in childhood. Fruit and green leafy vegetables are micronutrient rich and culturally acceptable. The determinants of intakes of these foods are not well understood. We are presently trying to identify modifiable constraints and facilitators to fruit and green leafy vegetable intake, and to design interventions to increase consumption of these foods. We are in the process of undertaking a ‘value chain analysis’ of fruit and green leafy vegetables in settings in the state of Maharashtra, India. This analysis will involve agricultural scientists, economists and social scientists and consist of workshops with stakeholders including policy makers and representatives of farmer and vendor groups, and interviews and focus group discussions with landowners, farmers, wholesalers and consumers. We will then develop a framework linking value chains with nutrition. 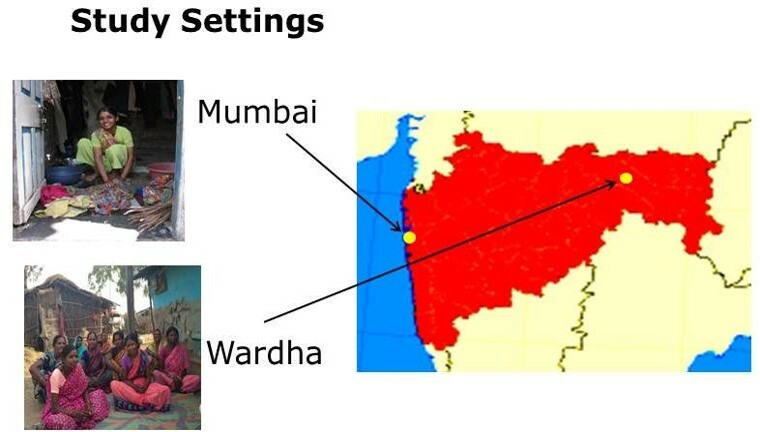 This work is led by Sarah Kehoe in conjunction with the Centre for the Study of Social Change (CSSC), MS Swaminathan Research Foundation (MSSRF), and the International Food Policy Research Institute (IFPRI). 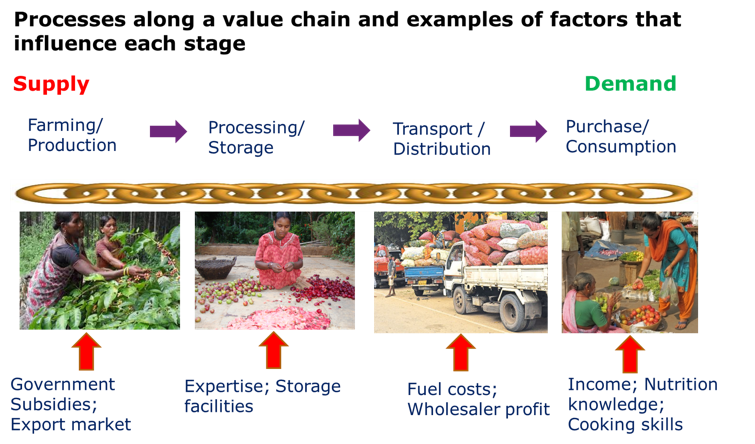 A ‘value chain’ refers to the addition of value along the food supply chain for actors at different stages. Central to the approach is identifying opportunities whereby actors can benefit economically from marketing agricultural products of higher nutritional value. .
We expect the study to lead to recommendations for policy makers and initiation of intervention studies.